Designed for finishing jobs on flat surfaces. Compact size and low vibration output allow use in closed and tight spaces. 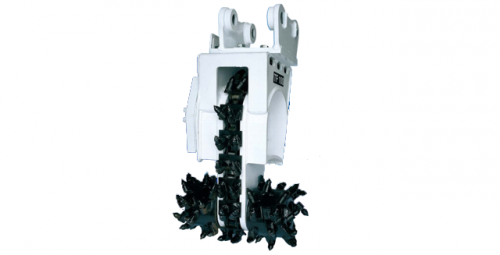 The TF 50 cutter head, designed to be fitted on mini excavators, uses the innovative toothed chain system placed between the two drums to allow milling without the ridge in the middle. This model is highly appreciated in nursery and garden applications.